Discover how to prep your deck for the changing season! The warm weather is here, and it’s time to ensure that your deck is ready for you to enjoy the sun and your home’s landscape! 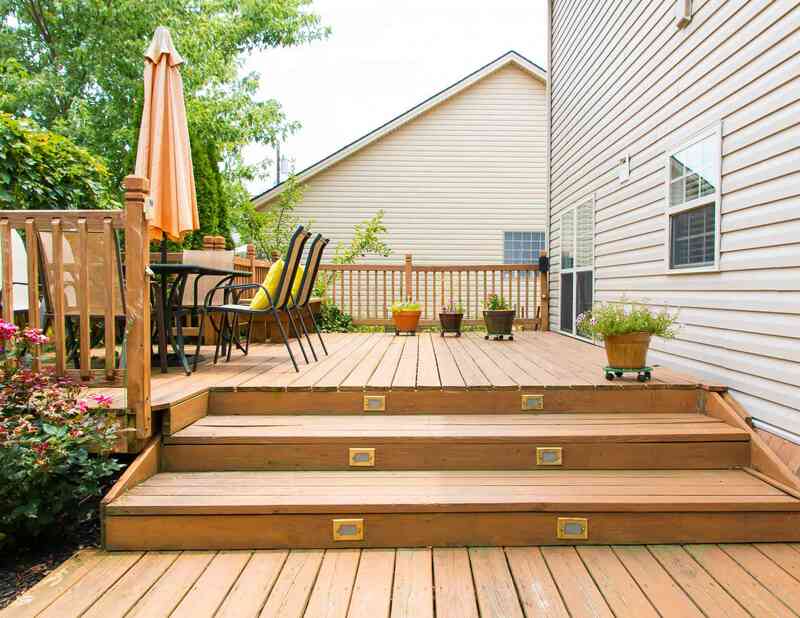 Getting your deck prepped for spring doesn’t need to be a daunting task. 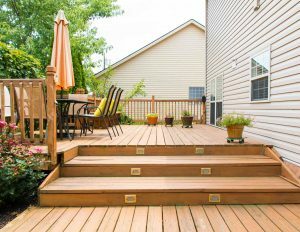 Taking a little time to get your deck care in order can help ensure your deck lasts as long as possible so that you can get the maximum enjoyment out of it. After the long winter, it’s likely your deck needs some cleanup! Following the instructions for its material, start by sweeping and removing any debris. Next, you may want to use a power washer to remove any built-up dirt, or simply a scrub brush and bucket of water with cleaning solution. Any cleaner should be confirmed for your material and finish before use. Once our deck is clean, make sure your grill, smoker, or other outdoor kitchen materials are clean too. Over time these can rust and rot if not regularly cared for, make sure to at least wipe them down to remove any residue that built up over the winter or last season. Whether you stored your deck furniture away over the winter or left it out, it’s likely to need a good spring cleaning. Remove it from your deck and give all parts a thorough wash before returning them. Not only will this make them more comfortable, but it will also help keep your deck cleaner longer. If your deck or patio requires a dose of color, it’s time to liven it up! Adding pots with greenery and flowers can help improve the look while adding color. Throw pillows, a new umbrella, and a fresh coat of paint on deck furniture can all help brighten up space. Fresh flowers in pots are one thing, but if the rest of your landscape is lacking you won’t have much of a view! Remember to add mulch and flowers to the rest of your yard to help create a balanced appearance. This spring might be just the time to add those long-desired additions to your deck or patio! An awning, increased floor space, a new kitchen feature, a screened in section, or even a pergola are all great options for your home. Not only will these help you enjoy your outdoor space more, but they’ll also help add to the appeal and value of your home! This entry was posted on Friday, March 22nd, 2019	at 1:01 pm	. You can follow any responses to this entry through the RSS 2.0	feed. Both comments and pings are currently closed.